Is Spain’s anthem going to finally get words? Don’t be silly! Last Sunday, Spanish pop star Marta Sanchez caused a sensation in her country by doing something simple: singing her national anthem. Why was it so special? Because Spain’s anthem doesn’t actually have any words so singing it is a bit hard. Marta added some she’d written herself while homesick in the US. The performance, above, is powerful stuff, as are her lyrics. “I come home to my beloved homeland, where my heart was born,” she starts. “Today I sing to tell you all the pride I have. My love grows every time I leave. So is her effort going to be adopted? Er, no. Spain’s anthem, adopted in 1770, only ever had lyrics once – under Franco’s dictatorship – and few want to be reminded of those days. The country’s also too divided – see Catalunya’s recent independence referendum – for any to be agreed (are Basques going to be happy singing a song in Castilian?). A petition to get the anthem lyrics, for instance, has only collected a paltry 12,000 signatures since it was launched in 2015. How are Europe’s other wordless anthems getting on? Well, San Marino’s is ticking along; Kosovo’s still doesn’t have words – the strangely titled Europe – even as the country celebrates its 10th birthday; and neither does Bosnia’s. Some Bosnian politicians did begin an initiative this month to give their anthem words, but that looks destined to fail. It’s election year in the country, and no ethnic-Serb politician is going to endorse such a move, since many of their voters actually want their own country or to become part of Serbia. If you want to read more about the bizarre stories of Bosnia’s and Kosovo’s anthems, the people behind them, and their significance, then buy my book! This week, Canada changed the English version of its national anthem to include women as well as men. “About bloody time!” is the correct response – people have been calling for this since 1980. To get the full story of the women (and one man) who campaigned for the change for so long, head over to the BBC where I’ve written a *longggg* feature on it. I’m especially pleased to have had a chance to write about Nancy Ruth (pictured above), a former senator who probably put more energy, money and effort into the campaign than anyone else. I’ve never forgotten that, obviously, and it’s a shame I couldn’t put it in the piece (no recording) as it says everything about why it took so long. The Guardian’s long followed the case of Mohammed Al-Mustafa, a 36-year-old Palestinian who’s lived in the UK for eight years. He’s stuck in legal limbo. He applied for asylum, but the government said he was Palestinian so could go home. He tried to – twice – but there’s a problem: he can’t actually leave as he has no Palestinian papers (he left that country age 5, and both his parents died ages ago). He’s since applied to be declared “stateless”, which would allow him to stay in the UK permanently. But to get that designation, he has to prove he’s Palestinian and apparently the government’s Home Office doesn’t believe him! For what reasons? Bizarrely, one is the fact he couldn’t sing Palestine’s national anthem when asked. “I know the name of the anthem is al Fida’i, but I didn’t memorise the words and I told them, it’s not about words. We can’t get the country back because of the words,” Al-Mohammed told The Guardian. What’s going to happen to Mohammed now? God knows. Oh, and to whoever made the decision: what proportion of Brits actually know all the words to God Save the Queen? One of the final things Robert Mugabe did last week as Zimbabwe’s president was attend a graduation ceremony where he bizarrely sang the country’s national anthem as if no coup had happened. What no reports pointed out was that the song was his anthem. Zimbabwe used to have God Bless Africa as its anthem – the great liberation tune that became world famous during South Africa’s struggle against apartheid and is better known as Nkosi Sikelel’ iAfrika. But, in 1994, Mugabe decided it was time for a change, to instead have a song that could help create the Zimbabwe he wanted. He held a contest and Blessed be the Land of Zimbabwe was the winnner. What’s it like? A boring hymn, unfortunately! Mugabe clearly didn’t follow that call. Here’s hoping whoever leads the country next does. Hong Kong football fans do not agree with China’s new anthem law! Back in June, China proposed a law making insulting its national anthem – March of the Volunteers – a criminal offence, subject to 15 days in prison (I wrote about it here). Well, on Friday it finally went ahead and, ridiculously, passed the thing, as Reuters reports. The final law is wider than the original proposal. Playing the anthem is now banned “as background music and in advertisements,” as well as at funerals, weddings and “on other inappropriate occasions”. You could be locked up if you “distort” or “mock” it, the law goes on. Those attending public events must stand to attention and sing in a solemn manner when the anthem is played, it says. Please hide him if you can! More importantly, expect China’s anthem to soon be sung far more frequently in Hong Kong – in entirely disrespectful ways. And expect Hong Kong’s football fans to continue their long practice of booing it whenever it’s played. When you pass draconian laws like this, you don’t tend to get the outcome you expected. Update: The South China Morning Post has some interviews with Hong Kong football fans here, saying they’ll continue ignoring it. “I won’t stand up [when the national anthem is played, because I do not have a sense of belonging [to China],” Ricky Wong Ka-ki told them. If Ricky is locked up, China’s anthem overnight becomes the world’s most controversial song. Sing the Philippines’ anthem with fervour or get fined! Where China goes, the Philippines follows! Just days after Chinese politicians started discussing a bill to jail anyone who “abuses” their national anthem, Filipino politicians have started discussing one that’s mightily similar. “Singing [of the anthem] shall be mandatory and must be done with fervour,” the bill says, according to the BBC. Punishment will include a fine of up to 100,000 pesos, which is apparently £1,560/$5,590. Ok, that’s better than the two-weeks in prison that China’s planning, but still: ouch! 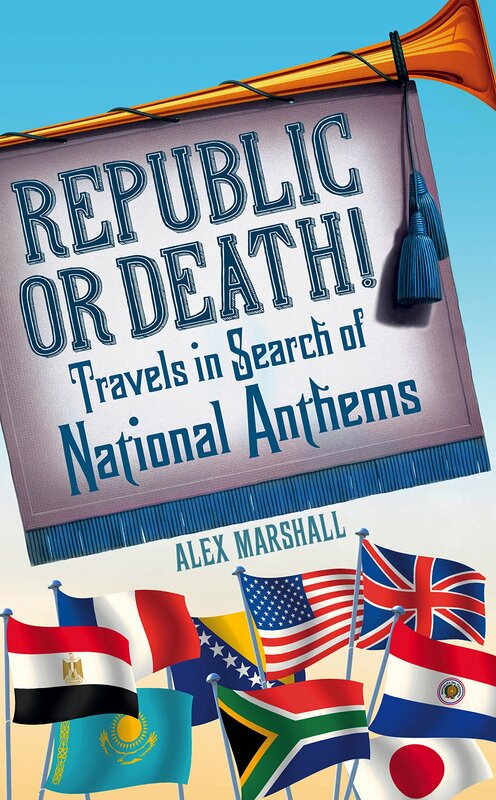 It all seems a bit harsh, especially as the country’s anthem – Chosen Land – is hardly something that can be sung with fervour, since it sounds like a fairground ride being wound into action. The bill’s still got to be passed by the country’s Senate, so it might not happen, but given the nationalist fervour in the country under new president – and self-confessed murderer – Rodrigo Duterte, I assume it’ll pass. That’s him singing the anthem at the top of the page, by the way. He clearly won’t be fined. I’ve said it before, and I’ll say it again: never trust a country that forces singing of a national anthem!